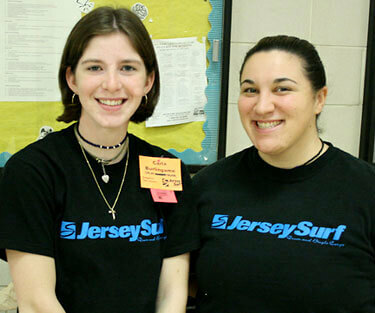 From the Jersey Surf Web site: The Jersey Surf is pleased to announce that the drum major and assistant drum major for the 2007 season will be Lauren Gulino and Carla Burlingame respectively. Lauren Gulino enters her sixth and age-out year with the Jersey Surf, moving from the trumpet section to the drum major podium. Lauren is an art education/fine arts major at New Jersey's Rowan University. Assuming assistant drum major responsibilities is Carla Burlingame, a junior at Rowan University studying elementary education with a coordinate major in geography. 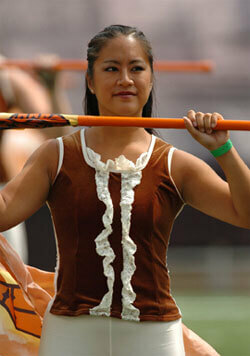 This is her fifth year with the Surf, having been a member of the trumpet section during the previous four seasons. "Lauren and Carla are already great leaders in the ranks of our organization," said Jersey Surf Corps Manager and Director of Operations Brian Prato. "We have high expectations for them to help lead the corps through the coming season and our next year of growth, and we have every confidence that they will exceed our expectations." Cynthia Wong, a special education major at West Chester (Pa.) University, has been selected to serve as color guard captain for the 2007 season. Wong is entering her second season as a member of the corps.